Vacuum chucking accessories designed for the VB36 now available. Super Precision 4-Jaw Chuck 125 mm with VB36 bayonet for Axminster and Vicmarc jaws now available. We deliver worldwide. Most orders are deliver by DHL. Orders up to 31.5 kg cost 19 € incl. VAT within the EU and 29 € abroad. Orders over 31.5 kg are shipped by common carriers or sea freight. The shipping costs depend on the total weight and size of the delivery, the purchased value and the destination of the order. It is not possible to define every variation of shipping costs automatically in our online system. After placing an order we will send you an order confirmation including the correct and complete shipping costs to your email address. If you would like to accept the quotation, simply confirm by email or deny with no further obligation. Also, see our General Terms and Conditions. 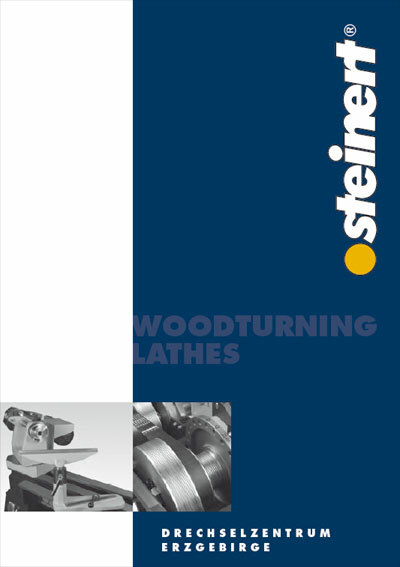 New 2014 steinert lathe catalogue available as PDF download. Customers from Germany, Austria or Switzerland please visit our German online shop at www.drechslershop.de. In the early 1990's Nigel Voisey and Roger Buse threw all conventions about woodturning lathes overboard and created a masterpiece of English engineering: The VB36 Master Bowlturner Lathe. Since then, the VB36 has had a triumphal course around the globe. 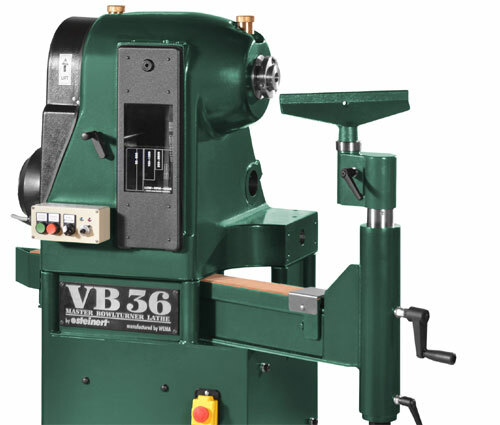 There are very few woodturners around have not heard about the VB36 and many dream of having this piece of machinery in their workshop. After many successful years of VB36 being manufactured by Hegner UK its original designers, followed by a few years with Technology Supplies Ltd. (UK), the VB36 took its legacy from Great Britain to Germany. 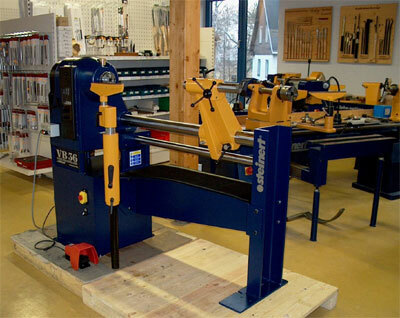 The VB36 manufacturing has moved to the Erzgebirge region in Germany in June 2013 and is now part of the passionate, family run, woodturning supply business "steinert®." Their business, together with the lathe manufacturer WEMA GmbH, are keeping the legend alive and will prepare the VB36 for the future. We are very proud to take on this responsibility. Copyright 2019 DRECHSELZENTRUM ERZGEBIRGE - steinert. All rights reserved.